We met each other during our first semester at Emory University’s Rollins School of Public Health. While our academic and professional experiences differentially shaped our paths in school, our common interest was deeply rooted in improving black health. As students in a predominately white institution, we quickly noticed gaps in the understanding of the complexities of race and health from both our peers and instructors. 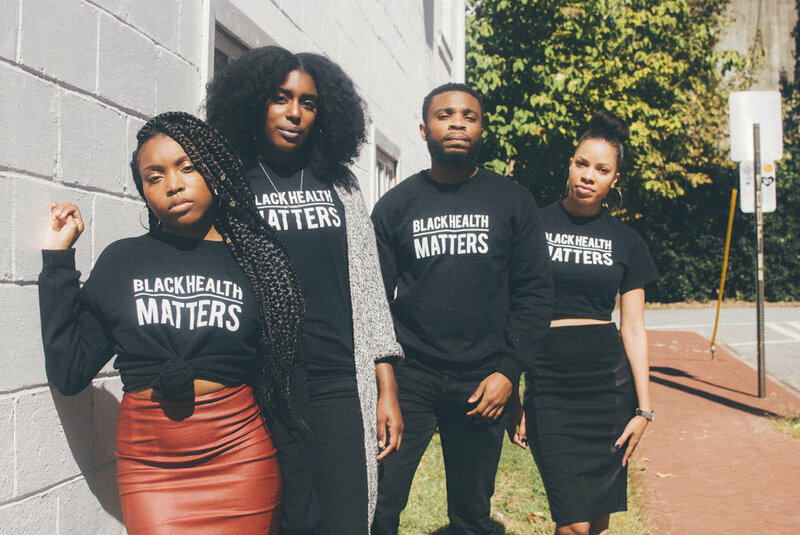 Inspired by the call to rebuild black liberation through the #Blacklivesmatter movement created by Patrisse Cullors, Opal Tometi, and Alicia Garza, we created t-shirts and sweatshirts that displayed the phrase Black Health Matters. These shirts were initially used to start a bold and necessary conversation on our campus: black people get sick more often and die sooner than other races of people due to structural issues caused by racism. We quickly realized that the lack of accessible and accurate information around the intersections of racism, race, and health was not unique to our academic institution. This information is missing in most spaces and most importantly in our black communities. We desired to use our skill sets and influence to close this gap by creating a space where black health-related information, tools, and resources are centralized and accessible. We wanted to reach members of the black community through social and digital media platforms and community events. We also wanted to provide resources and assistance to people and organizations already doing great work in black health. We hope that by educating and engaging black folks on our wellbeing, we can empower the black community to take action in improving our health and wellness.